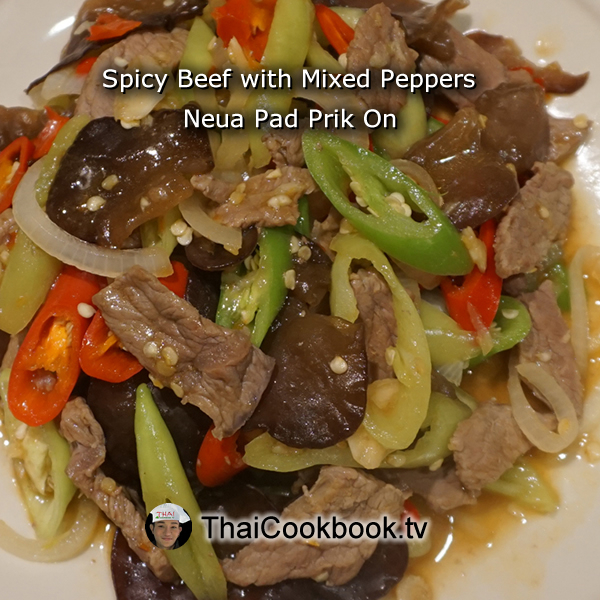 This delightful Thailand-style stir-fried beef steak with mixed peppers is great as a one-dish meal with some piping hot steamed rice, or as a main dish to be served with other foods for a complete meal. We used ripe red Thai long chilies along with an equal amount of green ones, and some yellow wax peppers for an appetizing blend of color. 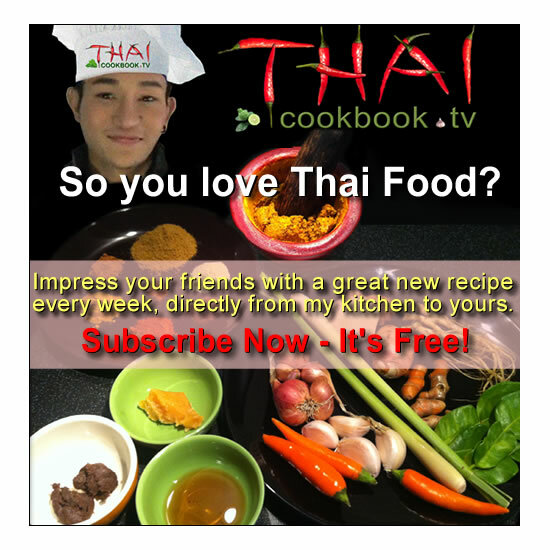 We add just a little Thai hot chili for that spicy flavor, but you can leave them out for an equally delicious result. 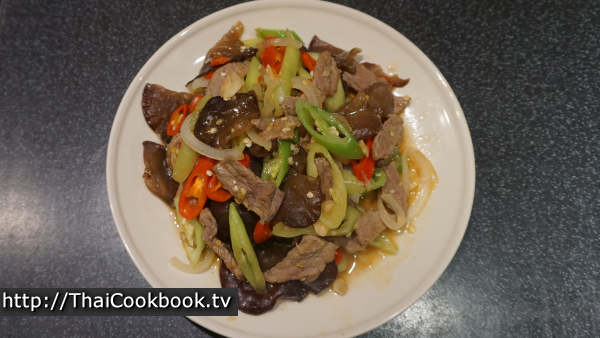 What's in our Spicy Stir-fried Beef with Mixed Peppers. 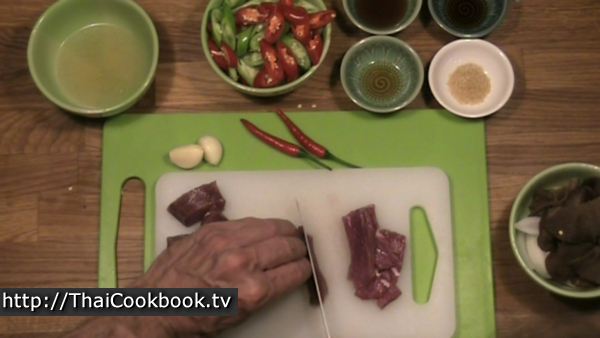 How we make our Spicy Stir-fried Beef with Mixed Peppers. 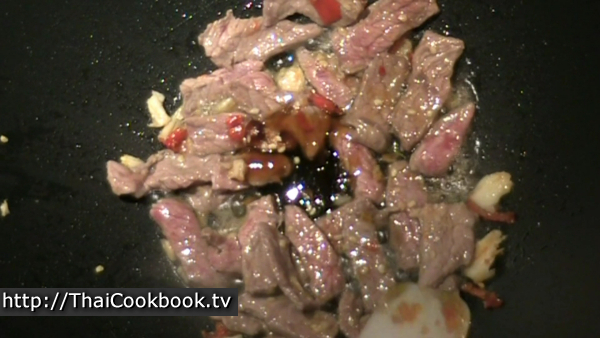 1) Fry the crushed garlic and hot chili together in oil for about a minute, then add sliced beef. 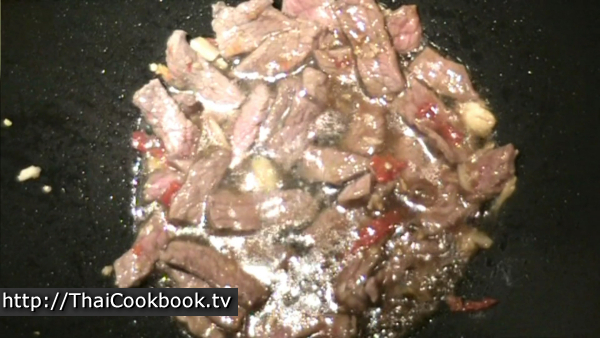 Continue frying until the beef is nearly cooked. 2) Add the sauces and sugar. Fry until hot and sticky, then add some vegetable stock. 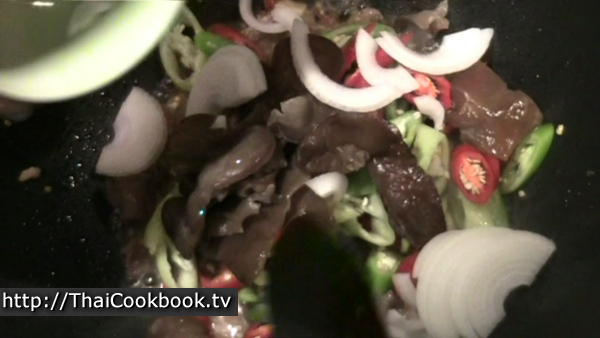 3) Add the peppers, onion, and cloud ear fungus. Fry just until the peppers are slightly wilted. 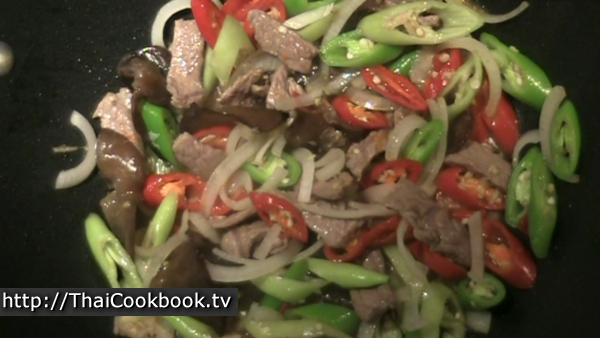 Serve with steamed rice and other foods. 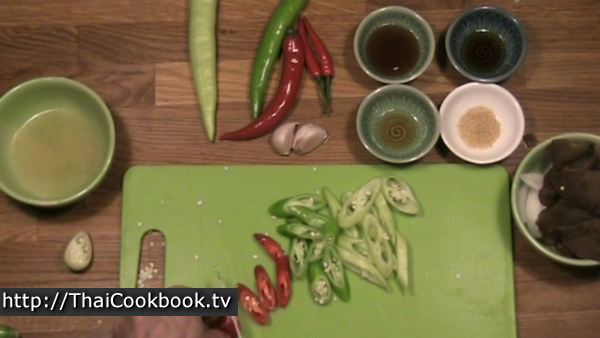 Select a mix of red, green, yellow, or other colored mild chilies. 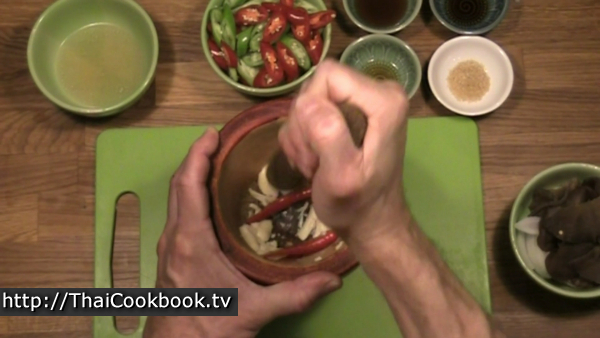 Here we used 2 red ripe Thai Long Chilies, along with some unripened green ones, and 2 yellow wax peppers. 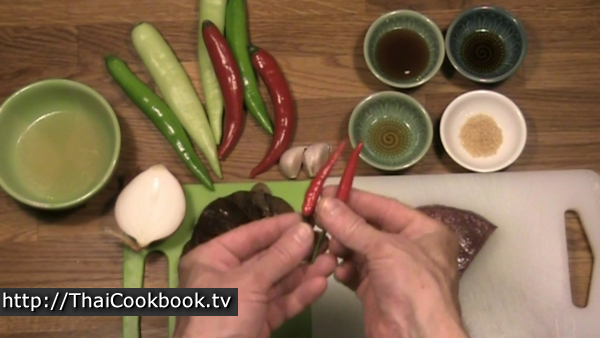 You can use other types of mild pepper, including bell peppers. 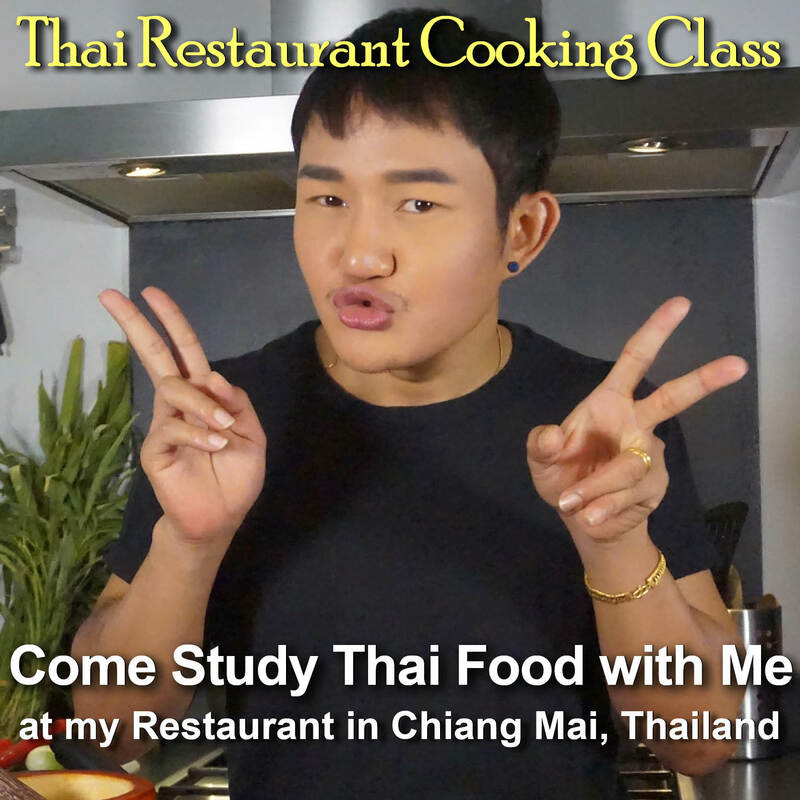 We use 2 - 3 of our spicy hot Thai chilies to add that expected spiciness, but you can leave them out if you do not like spicy foods. The cloud ear fungus has a nice dark color that will set off the rich bright colors of our chilies. If you don't have them where you are, then a nice mushroom like Shitake will do nicely. Cloud ear fungus has a base where it grows that should be removed before cooking, and if they are big tear them into several pieces. Slice all the chilies on a diagonal and removed most of the seeds, and slice the onion into nice wedged slices. 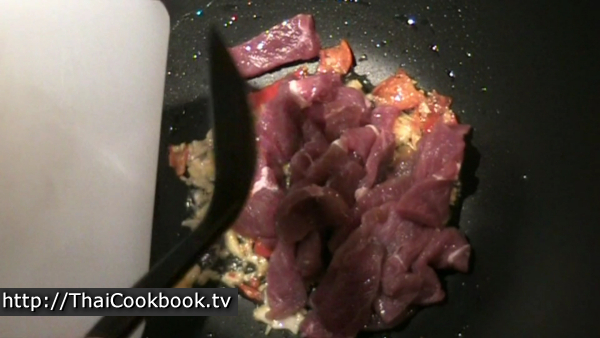 Thinly slice the beef steak across the grain so it stays tender. Roughly grind the garlic and hot chili together. 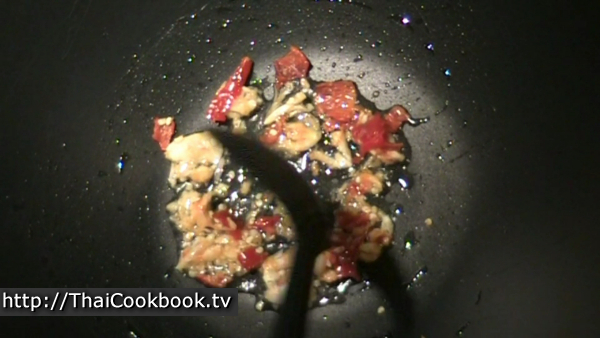 Heat one tablespoon of oil in a large wok or frying pan over low heat. Fry the garlic and chili slowly until softened. Turn the heat up high, then add the beef slices. Stir it all up well and fry for a few minutes. 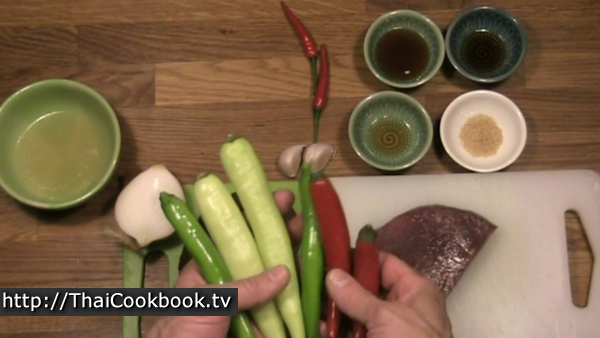 When the beef is nearly cooked, add the sauces and sugar. Keep stirring and fry until hot and sticky. 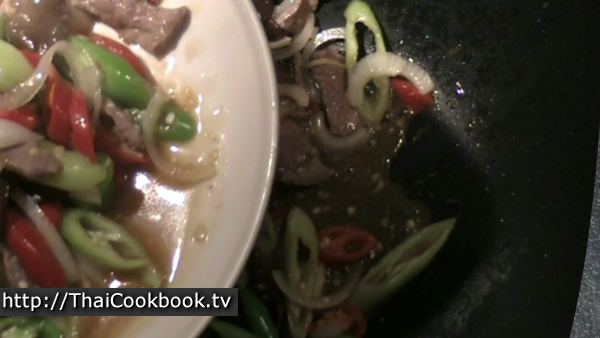 Add the vegetable stock and stir it into the beef well. Add the chilies, onion, and cloud ear. Stir it all up well and let it get hot. Fry just until the peppers are softened a little. Turn off the heat right away so it doesn't overcook. Serve on a big plate to be shared, or with rice on smaller plates as one-dish lunch plates. Arrange it all so it looks even and delicious. Serve immediately.